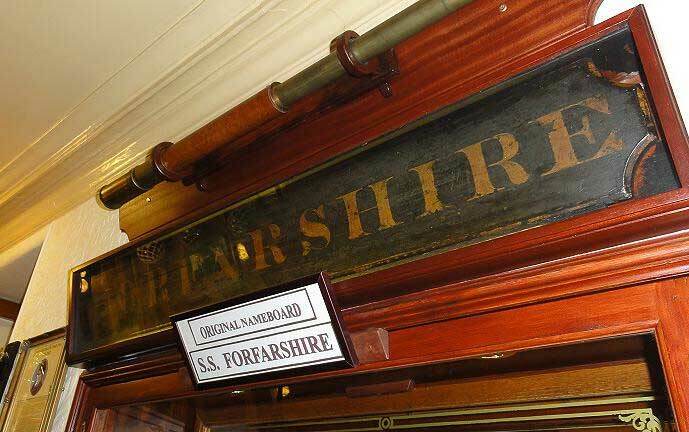 The SS Forfarshire was a paddle steamship, with luxury accommodation. She was built in 1834 by Thomas Adamson of Dundee, for the Dundee and Hull Steam Packet Company, at a cost of £20,000, and was powered by three boilers and two 90 horsepower steam engines. Iron boiler plates were still being used in preference to steel plates. 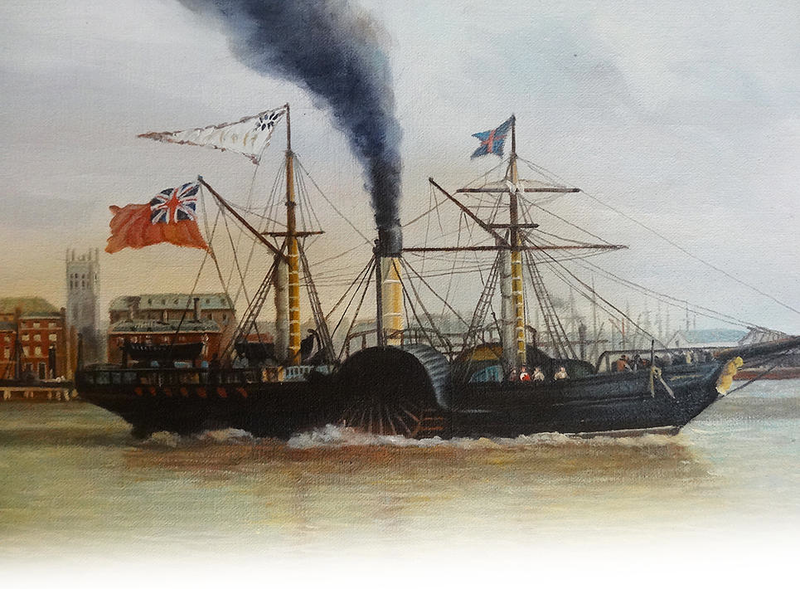 Steamships were becoming established by the 1830’s. 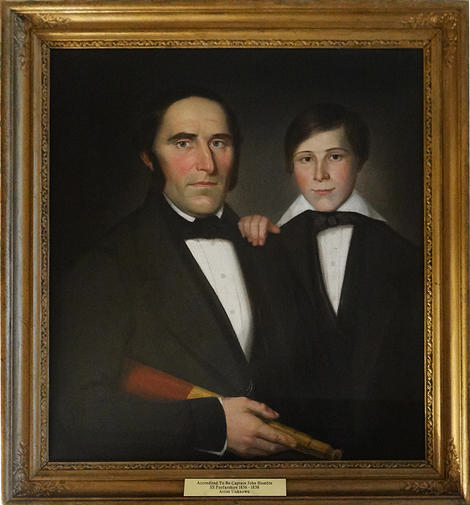 In 1838 the SS Sirius and the larger SS Great Western had successfully crossed the Atlantic to America. The more modest Forfarshire was built to ply the North Sea coast, between the Tay and the Humber. She was 132 feet in length and 20 feet wide, plus two paddles. She was dark in appearance, possible black. Like many early steamships she also carried masts, with sails. “Main Cabin…£1.5s; Fore Cabin…15s; Deck…7s.6d. Provisions, Wines and Spirits, to be had on board, on very moderate terms”. There were four state rooms and several elegant cabins. The state rooms had fine furniture, painted panelling, marble mantelpieces, gold-framed mirrors and specially made gilt-edged china illustrated with images of the ship itself. Second-class cabin passengers also enjoyed quality fittings below deck, whereas the “deck” passengers would have had basic accommodation – probably benched areas sheltered from the elements. When the railways were in their infancy, ships were still the most significant and fastest method of transportation. The Forfarshire sailed between Dundee and Hull at a rate of 8 to 9 knots (approx 10mph). As well as passengers she would carry cargo such as cloth, soap, hardware and boiler-plates; even horses and livestock could be accommodated. She was registered on 7 May 1836. But, just two years later, the rocky Farne Islands were to seal her fate. 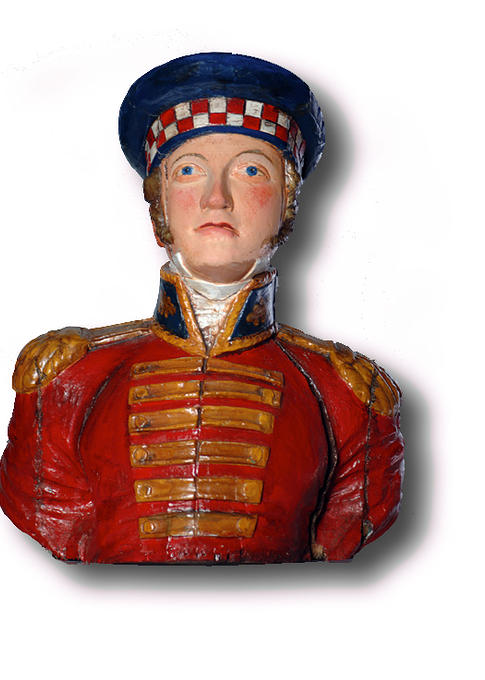 Donated by Miss Leslie to the McManus Museum in Dundee. 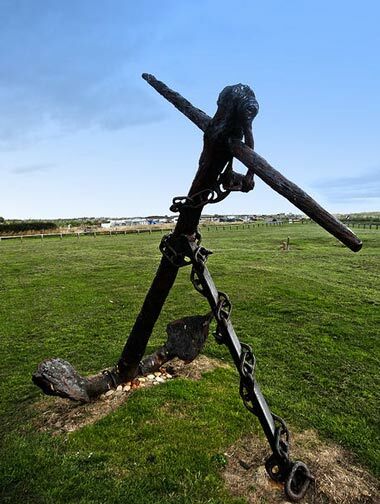 be built in a local shipyard.